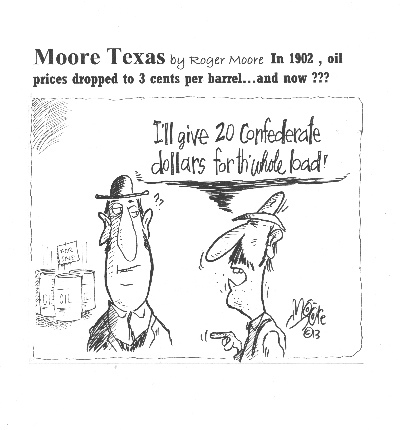 1902 oil prices dropped; Texas History Cartoon. In 1902, oil prices dropped to 3 cents per barrel... and now?? ?